to offer a multilingual and culturally sensitive service for all patients. Click link to order prescriptions and referrals. General Medical Practitioners - Our male and female doctors are vocationally trained in General Practice, having attained the FRACGP or equivalent. All doctors participate actively in continuing professional development programmes to maintain and extend their broad range of medical skills. 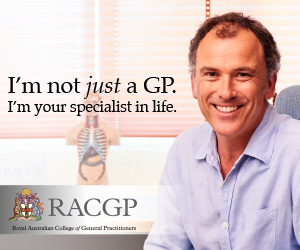 Our GPs have specialist qualifications in shared obstetric care, children's hea;th, skin cancer diagnosis and treatment, rural medicine, emergency care, mental health care and integrative medicine. Clinical Nurse - Sr Jane Smith provides immunisations, wound-care, education and case management. Jane conducts our Annual Health Assessment program, which is recommended for every person from the age of 75years. Mental Health Nurse Practitioner Fiona provides an integrated service for screening, diagnosis and management of mental health conditions. Fiona is available on Tuesdays and Thursdays from 5pm to 7pm and some evenings for your convenience. You will need a make a GP and CDM appointment prior to seeing Fiona. You may book directly through reception as a private patient (self funded or Health Fund) or you may make a CDM appointment for funding assistance through Medicare. Quality Practice - Our Medical Centre is located at 98-100 Mathoura Road, in the heart of the Toorak Village. We offer a range of allied health services whom collaborate with our GPs. Wallis Pharmacy and Toorak Village Pharmacy are within a short walking distance, both offering an instant prescription service using e-Rx and a home delivery service. 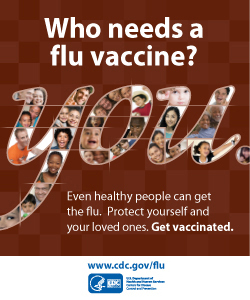 To be protected from vaccine-preventable diseases, you need immunisations throughout your life, not just in childhood. Use this quick checklist to find out what immunisations you may need depending on your Health, Age, Lifestyle and Occupation. The iPhone app AMA Find a Doctor has a map and directions to the Toorak Medical Centre. A free download from the iPhone App store. Untimed all-day parking is available in Mathoura Road north-east of the railway bridge. Undercover public carparking is accessible from Jackson Street, with the first hour free. Carter Avenue and Jackson Street have Stonnington Council public carparks. Disabled off-street parking is available at the front carpark of TMC2. Parking times are closely-monitored in other roads and streets and Toorak Road has a morning and afternoon tow-away clearway. We recommend that you use an electronic timer to prevent fines and towaways,. If you would like us to send you further information about Toorak Medical Centre, click on this link to the enquiry form, or visit the organisation profile page to read more about the Toorak Medical Centre. Click link to order prescriptions, obtain results, order referrals or request a telephone consultation. TMC has carefully selected Doctor Doctor to provide a General Practitioner home visiting service and after hours emergency medical care to our patients, throughout all of Australia 365 days per year.